Daniel Lawson | LGB & Co.
Daniel is an Associate at LGB Corporate Finance focusing on the firm's debt financing activities. Daniel advises corporate clients in a range of sectors seeking private or institutional debt capital. He is responsible for the origination, negotiation and execution of bespoke transactions, bringing to bear his experience and capabilities in due diligence, credit assessment, financial analysis and project management. 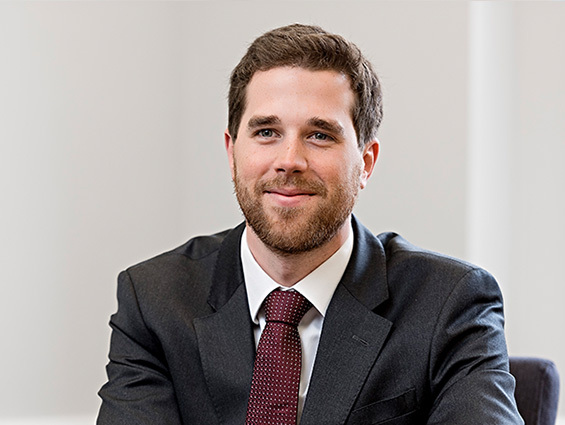 Daniel joined LGB Corporate Finance in August 2016 having started his career as an Analyst at Royal Bank of Scotland where he worked in the loan capital markets, restructuring, bond and secured debt markets divisions. Daniel holds a degree in Accounting and Finance from the London School of Economics. © 2019 LGB & Co.